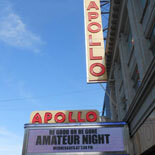 Enjoy a guided bus tour of historic Harlem and witness the current Renaissance. There have been many changes and transformations that Harlem has experienced over the years. Founded by Dutch colonists in the 17th century, it evolved into a summer retreat for New York's most prominent families around the turn of the century. Harlem became the "Mecca For Black culture in the 1920s" especially for African American writers and artists, and a center for social activism in the 1960s. The 80's brought a great renovation and rejuvenation to Harlem. The buildings were saved from the landlords who had abandoned them in the 70's and new life was brought back into Harlem. Visitors from around the world come to Harlem to experience this repository of Black culture and achievement. 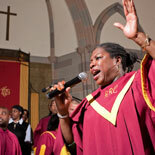 Today Harlem is a community brimming with pride and reveling in its new renaissance. The Harlem on Sunday with Brunch includes a guided bus tour of the various neighborhoods, and a stroll through one or more of the residential or commercial areas. 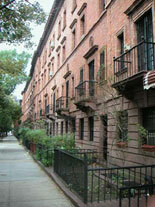 This tour focuses on the history and development of the areas visited as well as life in Harlem today. 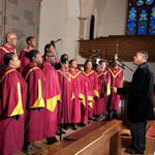 The Gospel Tours cover the origins of Gospel as well as the Black Church in America explaining aspects of the traditional Sunday Service, which is a cornerstone in this culture. After attending the service, end your tour with a unique brunch experience. No Sunday in Harlem is complete without some of tasting the best Soul Food around. Soul Food is traditional African American cuisine that originated in the South in the United States. Today it has become a highly sought after cuisine. It consists of spicy ribs, collard greens, fried fish and chicken, freshly cooked corn bread, and a few side dishes like black eye peas, okra, or macaroni and cheese to mention a few. For a "Soul" experience to be remembered, make a reservation to join the Harlem on Sunday with Brunch tour! Child Ticket: 5-11 years. Children under 5 are free if not occupying a seat.